Gardening isn’t just a way to get out and be active; it’s especially impressive when you can make garden educational for kids. They’re able to learn about nature, plants, insects, and so much more. If you have young children, don’t hesitate to make the garden your classroom and learn all there is to learn in this full of life space! Look at these 7 ways to make gardening educational for kids, so you can make the most of your gardening space and teach them some valuable lessons in the process. Give your child a sketch pad and colored pencils. This is one of the most valuable sets of tools when growing a garden. This gives kids the chance to sketch the plants and creatures they see in the garden. They can take growing notes, write their garden inspired poetry, and even use their sketch pad as their field guide to record their gardening adventures. Photograph the plants throughout their life cycle. Allow children to use your smartphone or give them a disposable camera to track the plants as they grow. Take photos of the plants each week and print them out so during the season you can see how they have progressed. The photos will give kids a visual time lapse of garden life. Observe the bugs and birds that come to your garden. Gardens bring so many critters to the yard, so head out and see what you can find. Look for butterflies, caterpillars, and other bugs that flock to gardens for the food and shade. This is also an opportune time to talk about why these critters love the garden and to observe the plants they seem to be attracted to. Talk about the uses for the plants you are growing. Growing plants is fun and offers visual beauty, but they also offer produce. Talk about the uses for the plants you are growing. Are you growing them for food? Are you growing herbs for seasoning? Perhaps you grow herbs for homemade beauty and bath products. Whatever the case may be, take the time to discuss the uses of the plants you are caring for. Give children some simple garden care chores. Allow children to participate in the gardening process via simple chores. They can help water and weed, and even help pick produce when it is ready. This is the perfect chance to talk about how to do these procedures correctly, so the plants are not harmed. Use your garden as a chance to explore measurement. Pull out the ruler and measuring tape and measure the various plants in your garden. You can do this weekly and track how the plants are growing. You can also track measurement of the rain via a rain gauge, or practice measurement as you measure out plant food or fertilizers. Use your garden as a chance to explore what living things need to grow. What do living things need to grow? Show children how the plants need fresh air, sunlight, water, and food to grow. Use this as an opportunity to explore what other living things need to grow, or what we have in common with plants when it comes to our own living needs. Are you ready to turn your garden into your classroom? 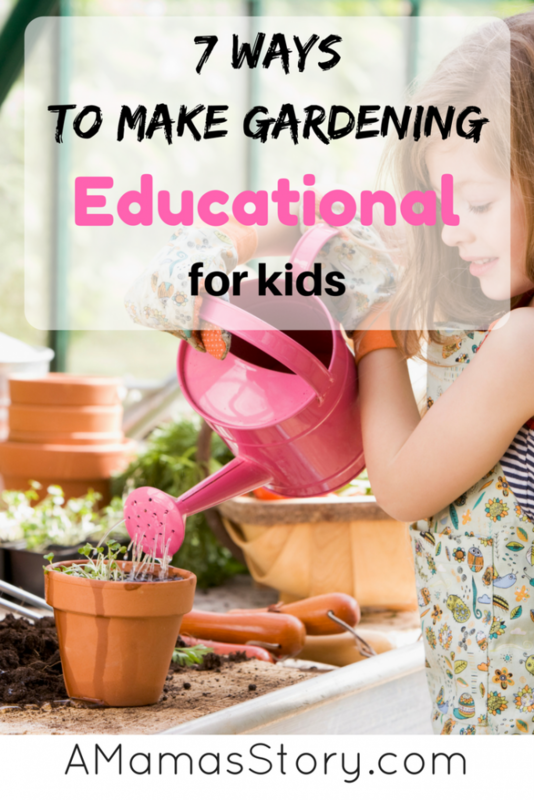 Consider these 7 ways to make gardening educational for kids and see how helpful they can be! How wonderful, Ashley! 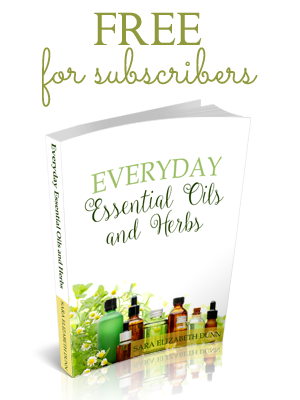 I’m so glad I began to study herbal remedies while I have young ones at home. They’re learning right alongside of me. Thanks so much for visiting! Gardenschooling! I love it! I think you’ve covered every subject while enjoying the great outdoors, getting fresh air and vitamin D. This is what homeschooling is all about! Love this! When you think about it, a Garden was the perfect paradise home God first made for His children, so finding ways to put gardening into our children’s lives would be a very good thing. Thanks for sharing your thoughts and ideas with us this week at Encouraging Hearts & Home Blog Hop! Thanks so much for visiting, Linda. 🙂 I love working in the dirt with my kids and teaching them how to use herbs and things medicinally. 🙂 I’m definitely better at using herbs when they’re dried than I am growing them and keeping them alive, but I still love the prospect each year of possibly growing something from my garden. Great tips, and you are bringing back wonderful memories of gardening with my kids. We weren’t the best at keeping things alive, but there were some great lessons learned even in this. What a wonderful way to introduce kids to gardening and also to the life cycles of plants, flowers, bugs and bees! Thank you so much for sharing this post with us at the Hearth and Soul Link Party. Hope to see you again next week when we are back from summer break. The party starts a week today on Monday August 7th.